For the registration in a language course please follow all instructions carefully and complete the application form for timely consideration. Send us please an email regarding any questions you may have to info@lgcjo.com or om@lgcjo.com. Enrolling a student in the desired course will be based in the order in which payment is received, and on rolling basis until classes are full or the deadline has been reached. Please always note that course and/or exam seats are limited. 1. Full payment must be received before the date of the course. Down payments of min. 50 JD are acceptable in order to reserve the seat till the first day of class only and are non-refundable. If the student doesn’t appear to the first class, his/her seat will be given to the next waiting student. Late applications may be accepted after the registration deadline depending on class size and scheduling. For information on the exact deadlines and class starting dates for the different courses, please refer to our website (www.lgcjo.com) and follow our facebook or/and twitter updates. a) Paid course fees are non-refundable. No refund will be given for down payments or late payments (when the student registers in a running course). In a case of an emergency, the course fees can be credited to the next following course only. b) If the number of registered participants for a course does not reach the required minimum of 6 students, the course may be cancelled and fees will be refunded. 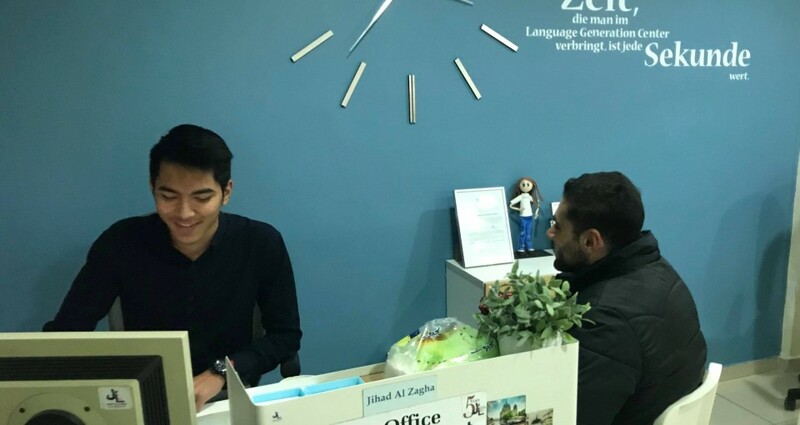 However, the class may remain open if an agreement on adjusting the costs is reached between the registered students and Language Generation Center. c) LGC decides and appoints the instructor/s in their courses. Changes (during the course) are reserved. Team-teaching is also possible. LGC does not offer any kind of trial classes. d) Students who repeat a course pay 50% of the full fees for the same level within a time frame of one year. 3. LGC retains the right to exclude students (group or individual courses) from his/her classes in case of violation without returning his/her paid fees. 4. With the full payment of the fees LGC considers the group and individual course students as registered. Individual courses follow the 24h cancellation policy. Postponed units should be replaced within 3 months. 5. Students can register themselves if they are at least 18 years old. Younger participants should be enrolled in their courses and/or exams by their parents. 6. 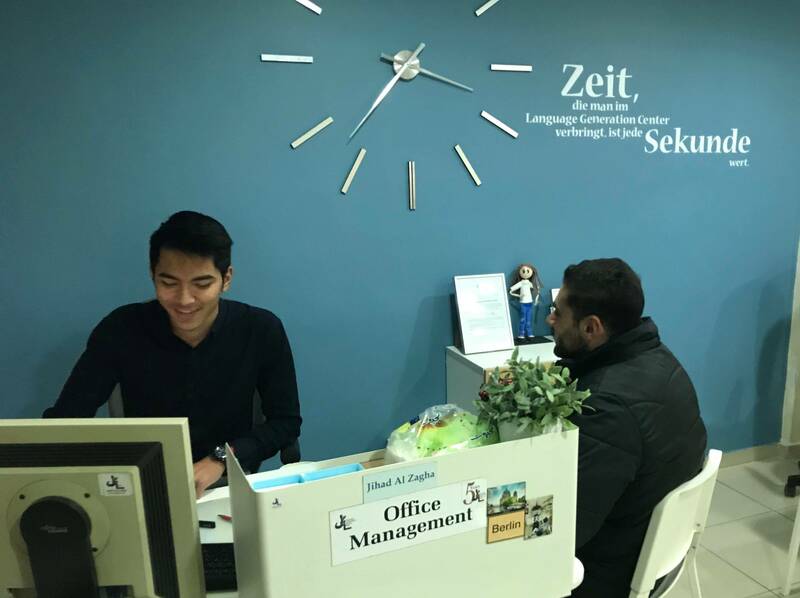 Students who wish to join a non beginner language course have to prove their current level (ÖSD/Goethe/telc/TestDaF certificate) or undergo an LGC assessment test in order to determine their level. In this case fees of 10-15 JD are applied which are deductible when enrolling in a LGC course. Placement or assessment tests can be repeated after three months. 7. Students who want to cancel or postpone his/her registration for the ÖSD German language exam, pay 15 JD administration fees and he/she can do it up to 7 working days before the registered exam. After that time frame all paid fees are non refundable and non transferable. 8. With the first registration at LGC, you completely agree with all our terms and conditions written here on this page for the duration of studying in the Center. The Registration Form & Procedure of LGC in Arabic language you can download here!